Museum Tots is Bailiffgate’s unique pre-school group, which allows young children to experience history through play in a fascinating museum setting. Families can share stories, songs, crafts activities, heritage toys and handle historic artefacts in a safe and happy environment. Children will be with their own carer during Museum Tots, while our trained volunteers will lead activities and support children’s learning. This gives children the chance to have lots of fun whilst exploring our local history. Museum Tots Spring/summer sessions cost just £2 for each participating child, the accompanying adult is free (one max per child). Book your child’s Museum Tots place either online or by telephoning the museum by the Friday lunchtime prior to the session. Please order the sessions required from the list provided below. 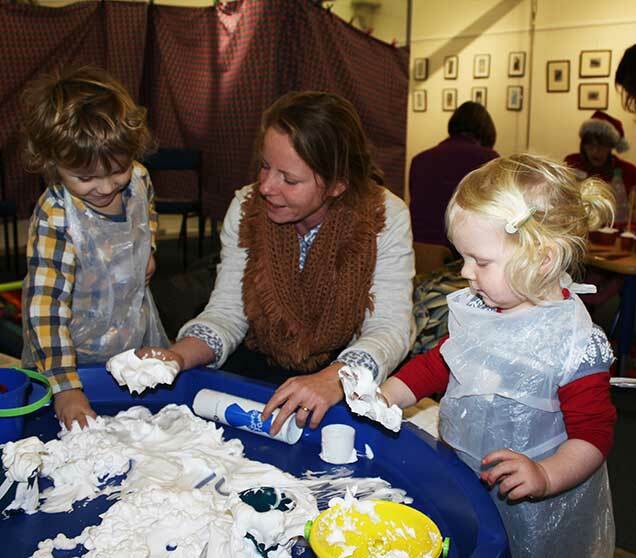 Note: Museum Tots is extremely popular and we advise you to book early to avoid missing out. We need to prepare materials, staff and refreshments in advance and must know numbers attending. Please note that if you are booking for more than one child, please increase your number ordered accordingly. We often have a waiting list for places, so if you need to cancel, please let us know by 4pm the previous Friday in order to give us time to offer the place to another family. If there are still places, and you book after 12.30 pm on the Friday prior to the Monday session, our system will not have been able to put you on our attendance list for Monday. To avoid any problems, please bring either a print off of your confirmation e-mail from the system or show your confirmation e-mail on your phone when you arrive.